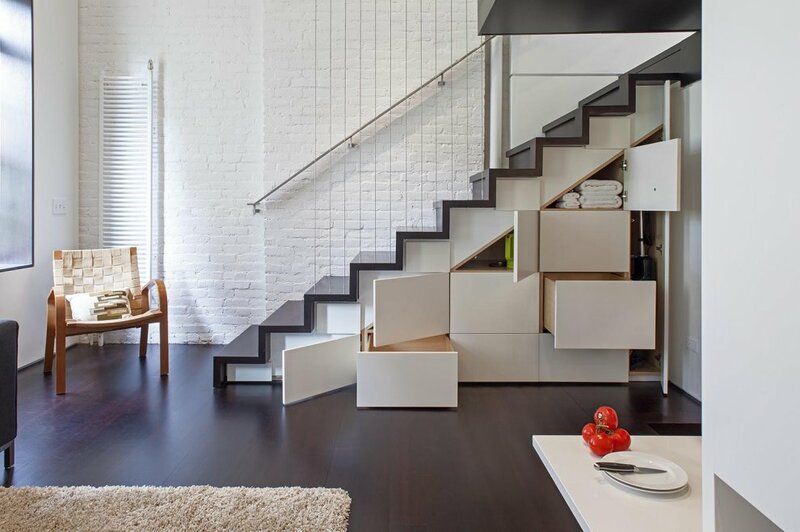 Navigating your daily activities in small space sometimes requires a lot of skills. 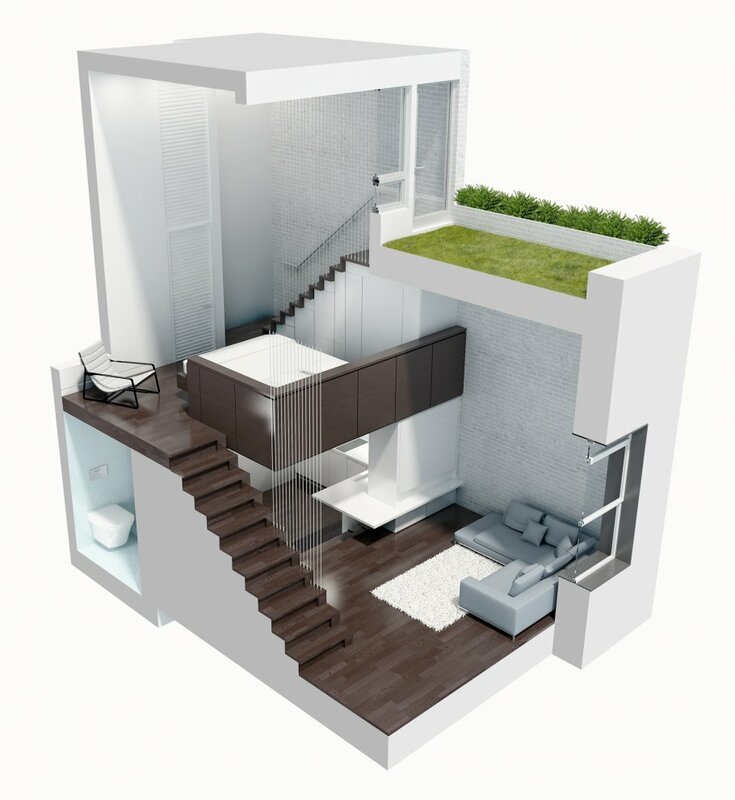 The same as designing one. To do it right you will have to improvise a lot. 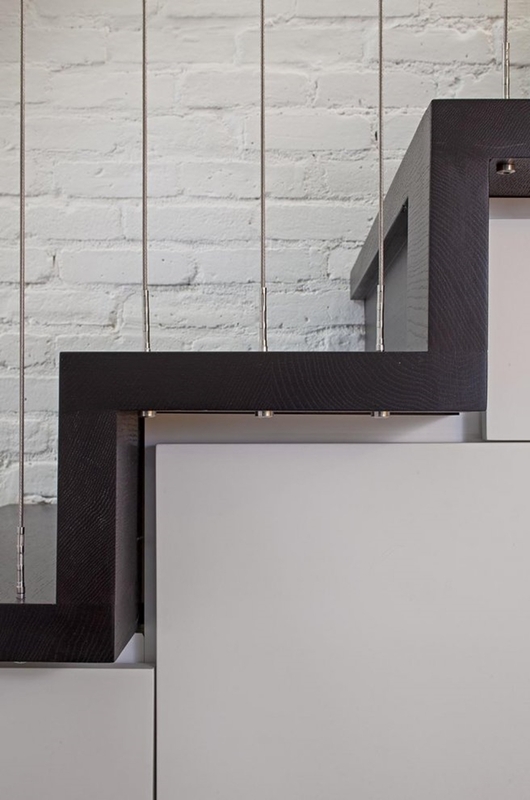 If you need some inspiration in this kind of situation, here's one brilliant small apartment design idea from New York City. 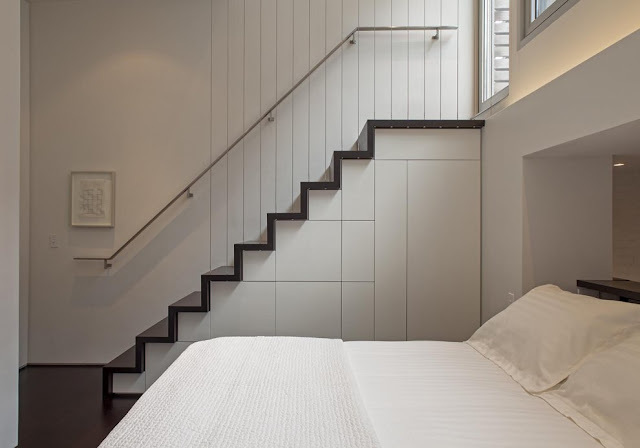 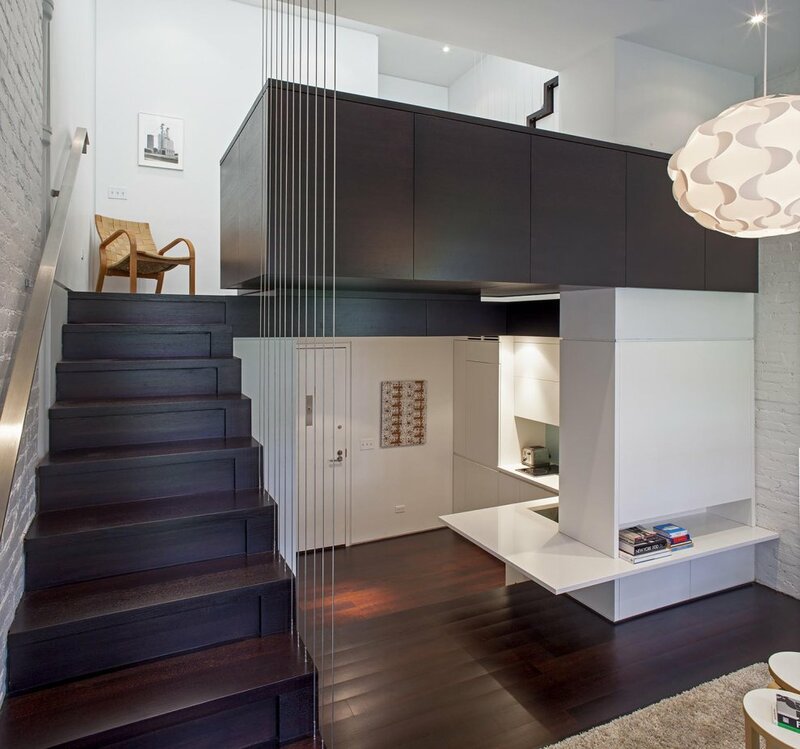 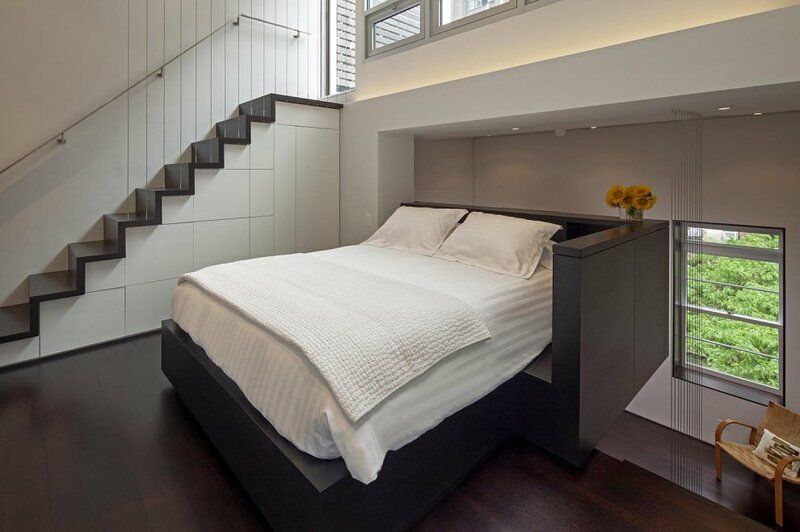 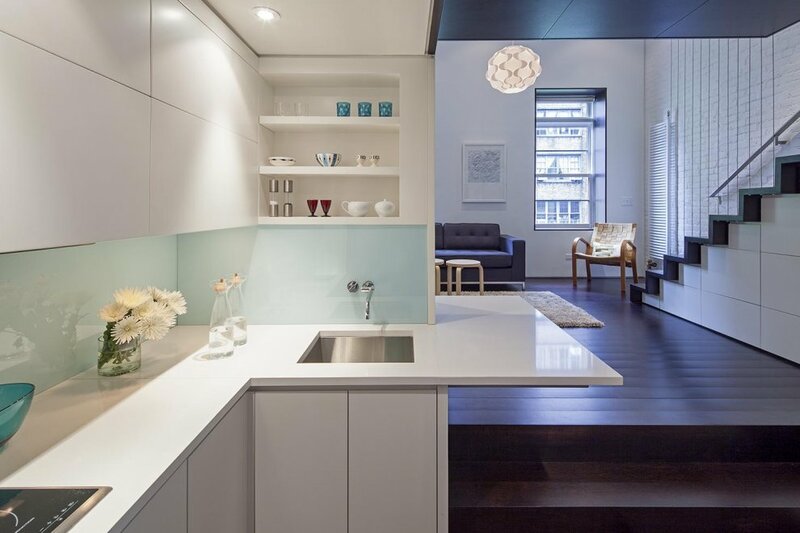 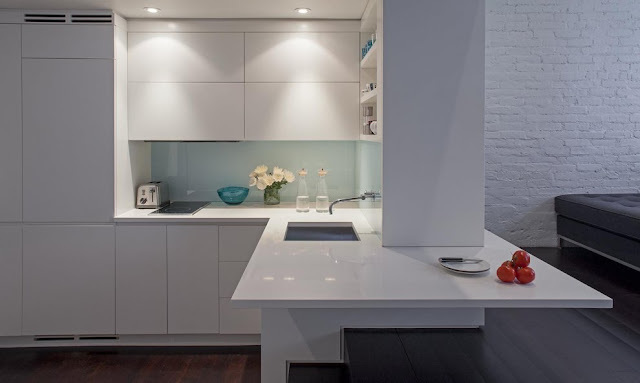 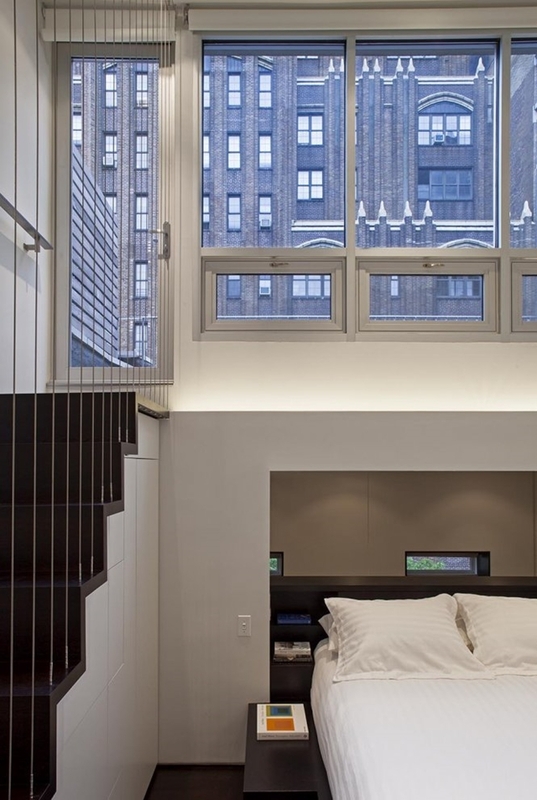 This small duplex penthouse apartment called Manhattan Micro Loft is located on the Upper West Side of Manhattan. 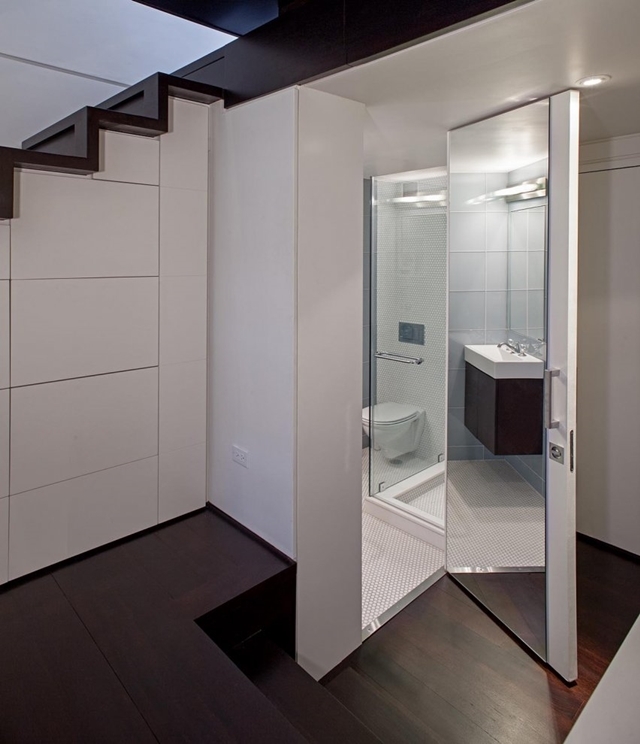 Before renovation this place was typical last century small apartment. Then team of architects and designers took it over and let their creative juices do the magic. 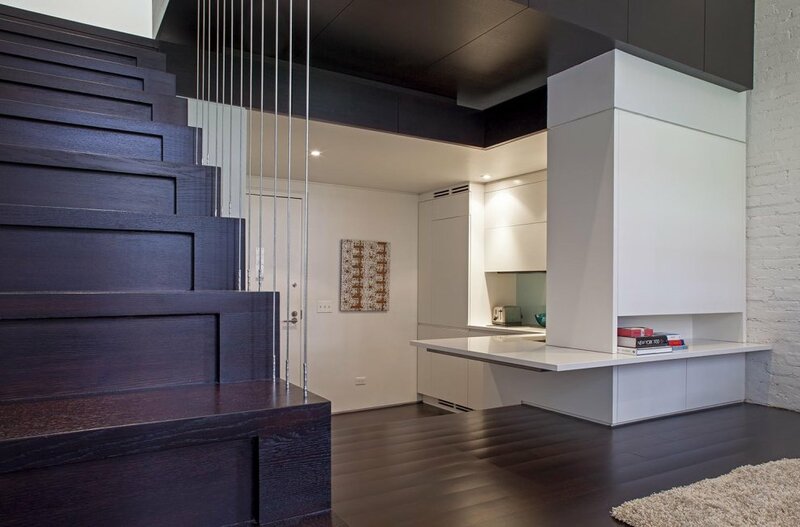 All 3 floors of this lovely apartment were designed in minimalist style to make it look bigger as much as possible. Congratulations to Scott Spectht, Louise Harpman, Amy Lopez-Cepero, Skeryl Jordan, Devin Keyes and Brett Wolfe on doing such a wonderful job.